This is a Wholesale Lot: 1 Retail Display of 12 Flashlights. Also available individually. This is our brightest work light we carry! 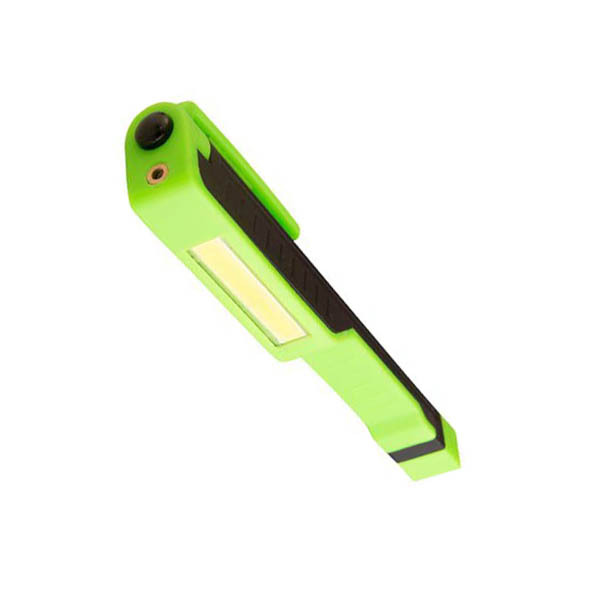 The work light produces 200 Lumen of light to brighten up any work area. 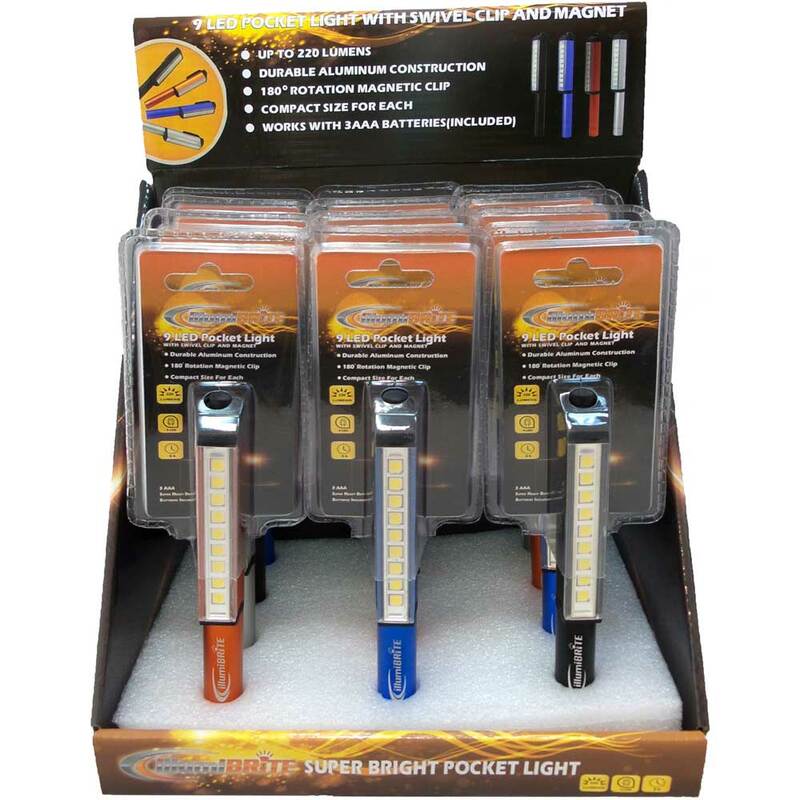 You can't beat this with any other pocket light on the market! The rotating magnetic clip gives you convenient hands-free lighting by attaching to virtually anything metalic. The aluminum body is very sleek and sturdy to the touch. 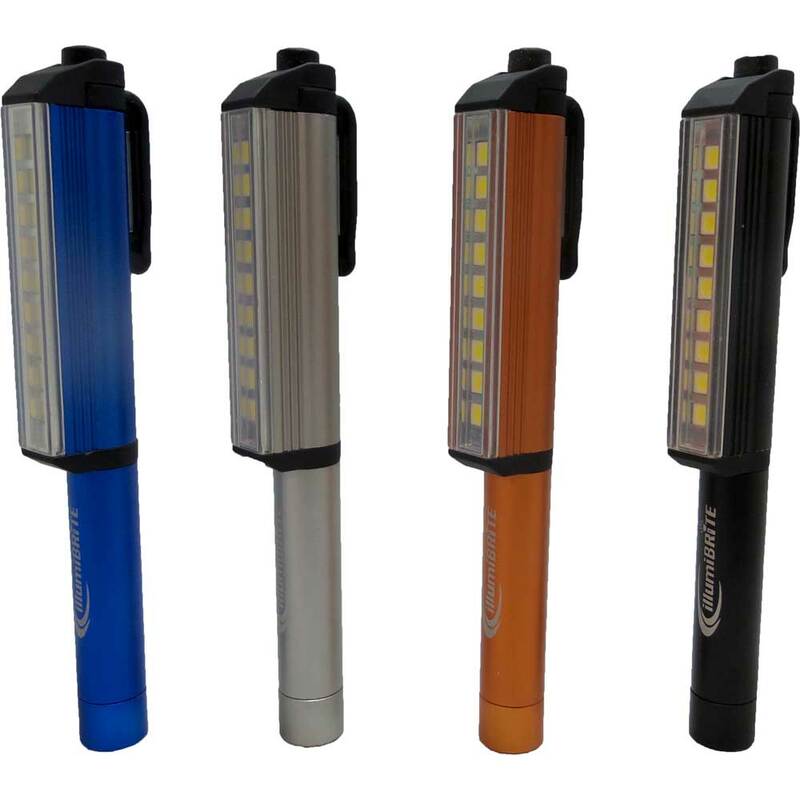 Powerful 200 Lumens SMD (Surface-Mount-Device Light-Emitting Diode) pocket light. Comes with 3 replaceable AAA batteries preinstalled! Weighs a little over 3 oz. 6" x 1.5" x 0.75"